While they aren’t celebrities, social influencers have thousands and sometimes hundreds of thousands of followers. People follow influencers because they’re typically experts in their fields of interest or study, and they create content that is engaging, clever, and constant. Followers of influencers are typically loyal to everything influencers feature in their feeds. Now, imagine how beneficial it would be for your company to entrust these influencers with your marketing. As PR pros, we know that maintaining a low-budget marketing strategy isn’t easy. 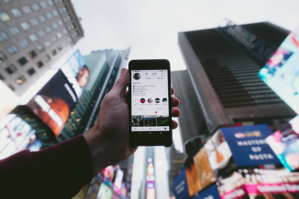 Social media influencers may finally be the cost-effective solution to that problem. A study by Tomoson shows that for every $1 companies are spending on social influencer marketing, they’re getting $6.50 in return. The same study also revealed that 13 percent of those companies are getting back an insane $20 for every $1 they spend on influencer marketing. What makes it so effective? Influencer marketing is a direct way to connect with your target audience; you can find hundreds of thousands of prospective clients. Social media is changing the buyer market every day. To take advantage of the niche market your company wants to appeal to, influencer marketing is the way to go. The industry experts at Axia Public Relations can manage your social media accounts and efficiently engage and reach your target audiences, creating opportunities for conversations to happen between you and your customers. Download Axia’s complimentary “Essential Social Media Management Guide” today to find more tips to help you succeed on social media. 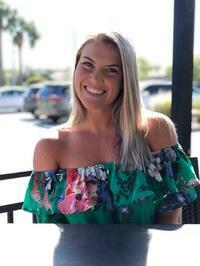 Hannah Feran is a senior at the University of North Florida working toward a Bachelor of Science in public relations. After graduating, Hannah plans to pursue a career in social media management or event planning.